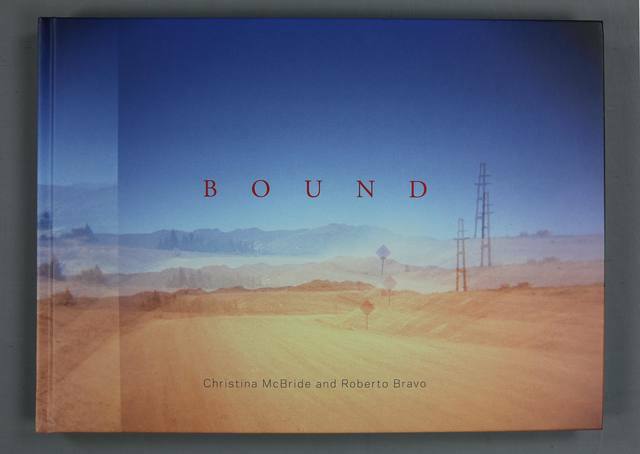 ‘Bound’ is based on a journey McBride made through Patagonia with the Mexican writer Roberto Bravo. The project itself, took as a starting point the concept of Aporia. Originating in the Greek, Aporia can mean a number of different things, which includes a philosophical puzzle, a state of perplexity and doubt, and also that which is seemingly impassable. It also refers to a situation where contradictory positions are presented simultaneously but are equally plausible. The Patagonian landscape is an area of extremes and contradictions and provided a rich and challenging context in which to expand and interrogate my/our ideas. We travelled across the high peaks of the Andes Mountains which are set against the vast area of flatlands where the roar of the wind contrasts with the dead silence of the desert. 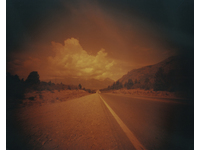 Working with a range of analogue cameras I produced a series of images from the various lands we passed through. The text of Roberto Bravo chronicles our journey reflecting on the mythical, socio-political and historical specifics of particular places. Woven through the text are references to a number of writers who have been informed by this place, most notably Pablo Neruda and Nicanor Parra. 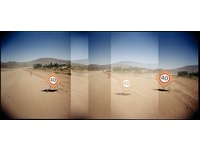 Their journey is interrupted by a car crash which impacts both the images and the text. 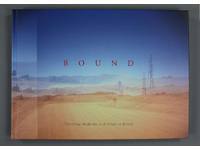 The bookwork included a contribution from Tacita Dean who focuses on the specifics of analogue within my working process.